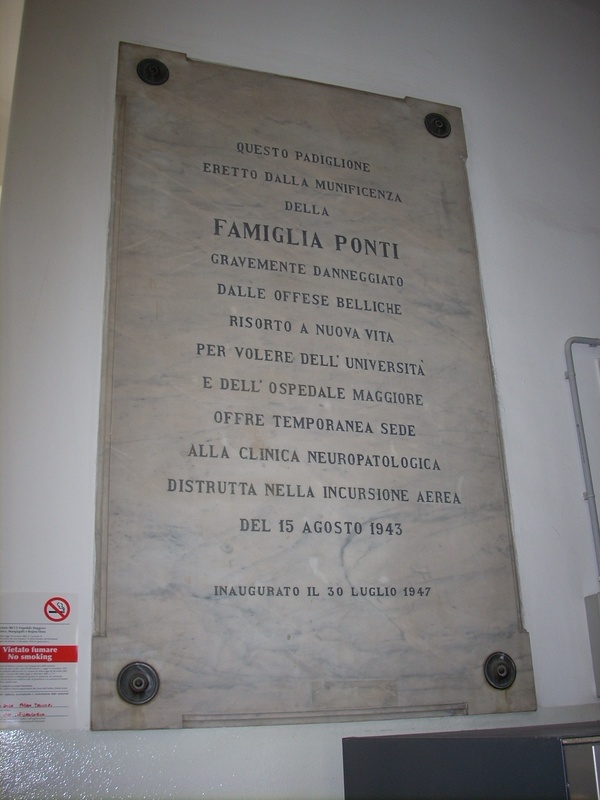 The Padiglione Ponti (Ponti pavilion) is the neurological facility of the Ospedale Maggiore Policlinico of Milan. 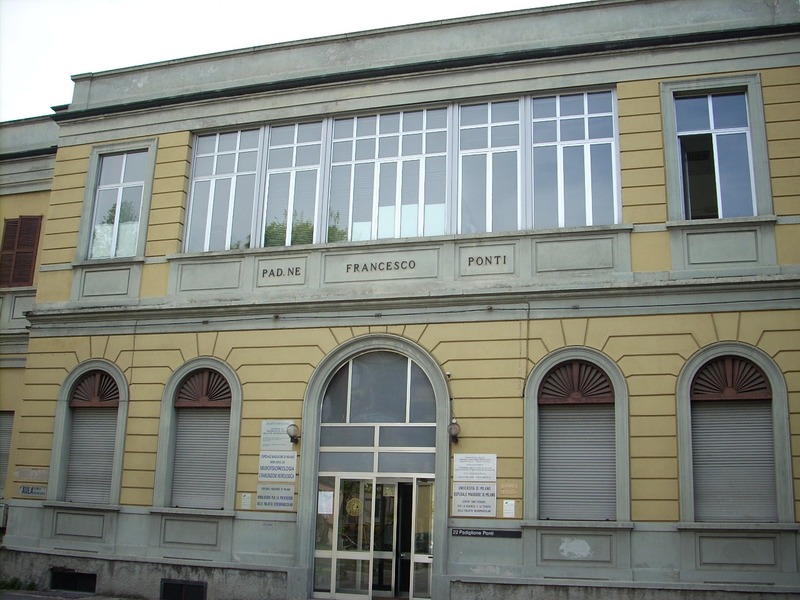 It was inaugurated on the 12th of November 1900, in memory of Francesco Ponti, a textile entrepreneur1. At the moment, the pavilion hosts, among many other things, the Centro Dino Ferrari for the diagnosis and the therapy of neuromuscular and neurodegenerative disorders. 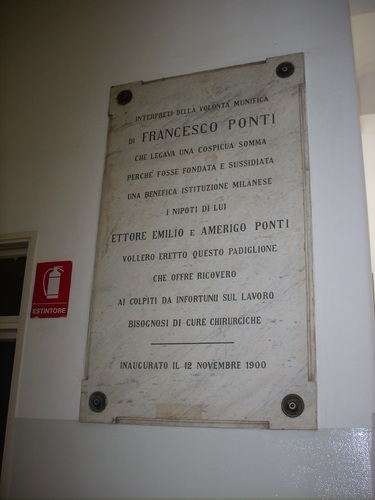 In the entrance hall, two marble tablets rememebr the inauguration, in 1900, and the restoration, in 1947, of the pavilion, after the Second World War's damages.